What's black, white and adorable all over? Penguins! Find out all about penguins on Kidzworld! 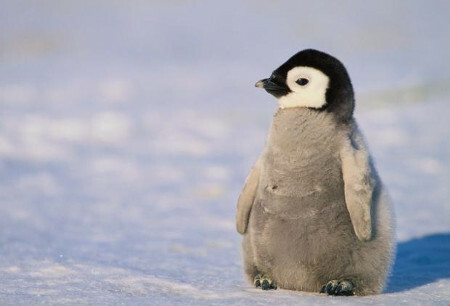 We all know penguins are adorable, but there's a lot more to their lives than just being cute! Penguins are flightless birds, but they have flippers to help them swim. In fact they spend around half their time in the water. 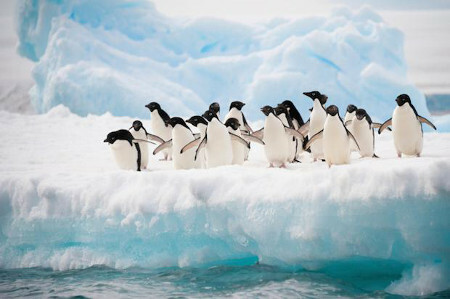 Penguins often live in cold climates - but not at the North Pole. 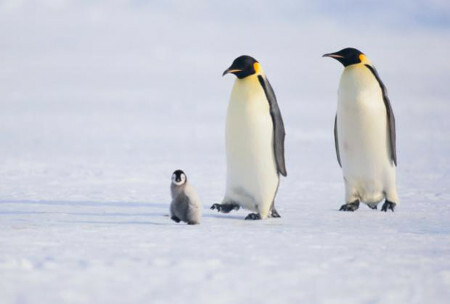 In fact, most penguins live in the Southern Hemisphere. You can find penguins in countries you may not expect - like the Galapagos Islands, New Zealand, Australia, Chile, Argentina and South Africa as well as Antarctica. Unlike us, penguins can drink seawater, and they eat all kinds of fish and underwater sealife. Their black and white coloring is actually camouflage for when they're underwater. The oldest penguin fossil fund is 60 million years old - meaning they may have been around to see the dinosaurs! Instead of molting one feather at a time, penguins molt all at once in what's called a "catastrophic molt." Gentoo penguins are the fastest, they swim at 22 mph! If you don't believe in true love - just look to penguins, they often have the same mate for life, and many are even loyal to their nesting site, there's no place like home right?